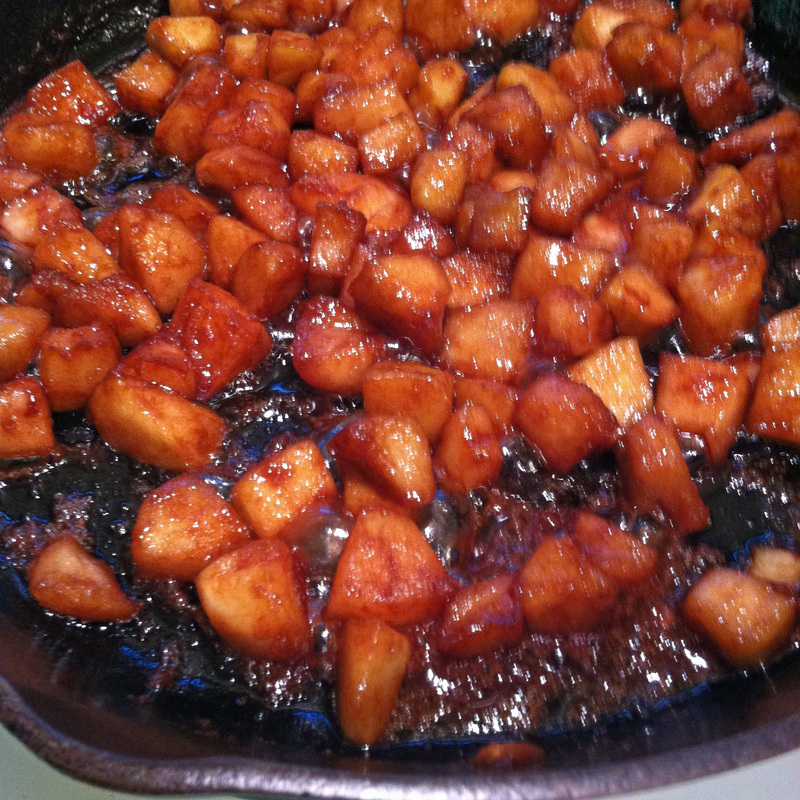 Caramelized Apples just taste like fall! The creator of the recipe, Chris of The Café Sucré Farine, used the apples to top her beautiful homemade butterscotch pudding. (That looks like a must-try recipe!) For a quick and easy dessert, I found they were great served warm over vanilla ice cream. It takes just a few minutes to make Caramelized Apples. I made it ahead of time and reheated it quickly in the microwave when it was time to serve dessert. Delicious! What other ways would you use the apples? My iPhone photo could be better, but these Caramelized Apples are fantastic! 2. Stir in the maple sugar, cinnamon, and sea salt. Cook and stir until it is bubbly, about 2 or 3 minutes. 3. Stir in the apples. Cook, stirring occasionally, for about 8 – 10 minutes. The apples will become tender and the sauce will become smoother. 4. Serve warm, or allow it to cool off and reheat it when you’re ready to use it. I will *definitely* be making these. Bet they’d be great on top of pancakes or waffles, too! Oh this looks so tasty! I could go for a bit of this on some vanilla ice cream! It is wonderful on vanilla ice cream! I like the way you think, Peggy!